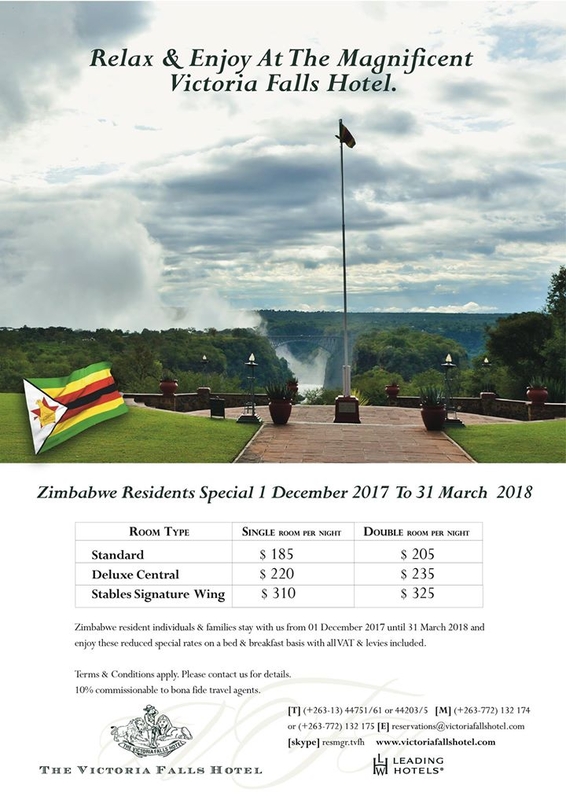 Zimbabwe resident individuals & families stay with us from 01 December 2017 until 31 March 2018 and enjoy these reduced special rates on a bed & breakfast basis with all VAT & levies included. Terms & Conditions apply. Please contact bookings@myguidezimbabwe.com for further details.